I hate Fallout 4 settlements. I also love them. I’m a deep and sometimes beautifully conflicted person, shut up. And while I like to build my settlements “vanilla-style”, crafting ambitious, large-scope projects with only the resourcfes and tools available within the game, the modding community is a veritable Pandora’s Box of improvements, each more tempting than the last. Every “problem” with the system, they have fixed; every gaping and glaring omission has been addressed. Of course, modding can have some seriously adverse effects on your game, so if you want to use any of these, be sure to back-up your main save files before installing anything. PC players, I suggest using Nexus Mod Manager whenever possible. Also some of these mods are not compatible with one another, so be sure to read the installation notes before mix and matching. Without further ado, here are our ten favorite Fallout 4 settlement mods. Count this among my favorite minor settlement mods. It’s truly frustrating how arbitrary some of the “no build” spots are, and how much the look and functionality might improve with a few small changes. This mod may push it a bit by removing all the red zones within your settlement and allowing you to build in the water and air and inside other objects. But it can be useful, particularly if you want to build several water purifiers but have no source of water. It also adds a much-needed object rotation system for improved placement options and assigns a few handy hotkeys, for example the Backspace button can be used to undo up to the last ten changes to your settlement. Over the long hours spent building your settlement, it’s little things like this that make the difference between sanity and chaos. What is the point of a fence that has holes? There is no point, correct. A fence that allows Raiders and Mutants to get in is not a defensive boundary; it’s a rudely ignored suggestion. In the past I haven’t been too interested in walls or fences, but after building the mega settlement of Starlight Bazaar, I got bored and started staging fights between enemies summoned by console command and the settlement’s defensive system. It was then that I realized that the fence system in Fallout 4 is a bit of a raw deal: the uneven ground ensures no uniformity with the snappable white picket fencing, and the junk fences don’t fit together. This all but ensures that both bullets and enemies can fight or force their way through. Enter the Snappable Junk Fences mod. This simple tweak adds snappable nodes to the game’s junk fences, allowing a uniform frontline that keeps the bad guys out and the good guys in. Honestly, I’m almost pissed that working food planters weren’t included in the original game. If you’re gonna allow the player to re-use art assets to create their own environments, it only makes sense to use everything at your disposal. The working planters from Greygardens and Greentop Nursery seemed a no-brainer. The garden plots added in the DLC are nice, but they’re also large and look unsightly on uneven ground (which is basically…all…of the ground). 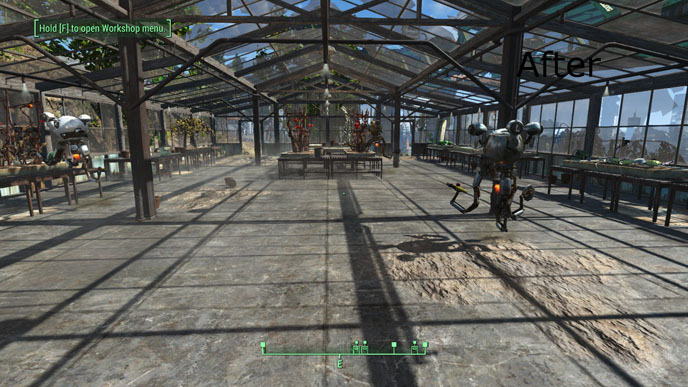 If you want to build a clean, organized greenhouse for your settlements, this is the way to go. Do you really think that after over 200 years, people would still be living in a den of trash and filth, refusing so much as to pick up a single rusted tin can? I don’t. It defies logistical sense, and I demand more from my post apocalyptic power fantasies. Luckily, this mod does just as the name suggests. 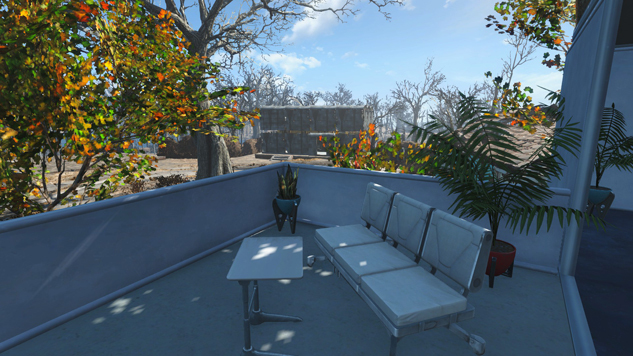 With it, you can do a little spring cleaning on your settlements, removing trash and clutter objects so there’s more space to work with. It can be especially helpful in places like Hangman’s Alley, where literally every last inch of space counts. This is one of the many fine mods that will give you more items to decorate and build with. Most of the items it uses appear to be assets that were overlooked for Workshop use in the vanilla game’s release. 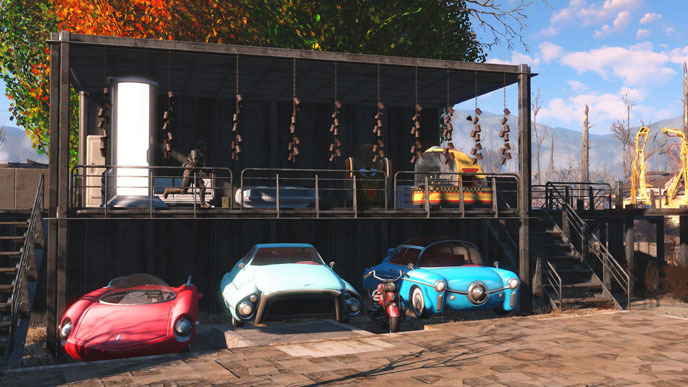 As you can see from the photos, it restores the old cars and vehicles seen lying around in Fallout 4, and other static objects like trees and rocks can be used to decorate. It also adds more usable furniture, snappable doors and chainlink fencing, interactive machines like the dessert dispensers see in downtown Boston, and more. 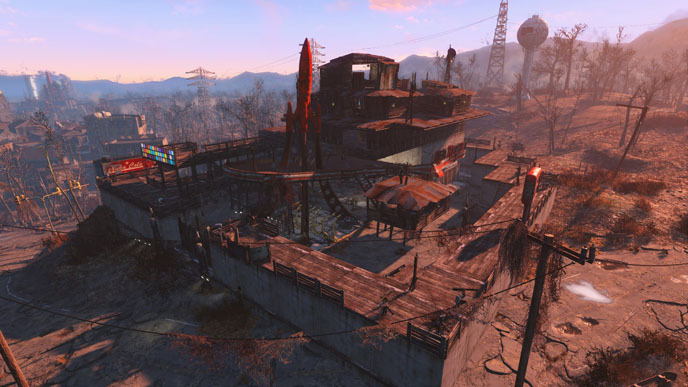 Personally, I like the challenge of building around the decaying structures and antique trash of the Fallout 4 settlements. But a fresh clean start is nice too. This mod goes a step further than Spring Cleaning, allowing you to literally scrap everything, even the major buildings. 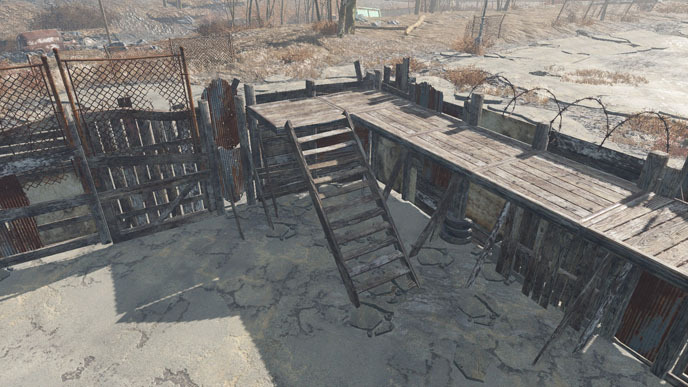 Install it, then run to Hangman’s Alley real quick and erase that terrible shack in the settlement’s southeast corner. Or dump some of the irredeemably dilapidated houses in Murkwater Construction Site. Or torch the titular and impossible to fix Coastal Cottage. It’s so satisfying. Most settlement aficionados already know you can use the Gun Scrapping Exploit to expand the amount of buildable space in a settlement, simply by throwing a bunch of guns on the ground and scrapping them. Aside from collecting dozens of weapons by grinding countless respawn locations, it’s a pretty easy, if time consuming, trick. If you’re low on time or patience however, the Settlements Expanded mod can really help. 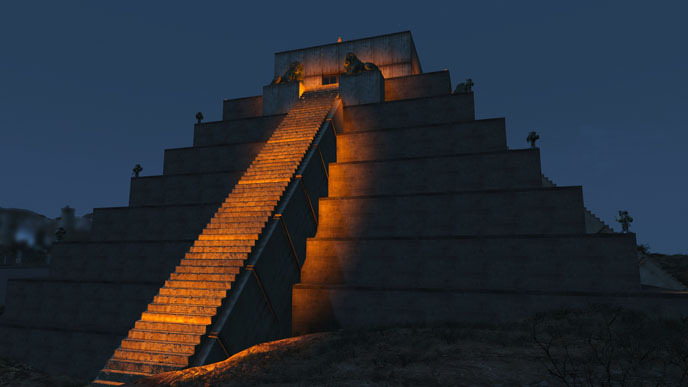 Its primary purpose is to extend the settlement’s object budget, so you can place or build as many items as you want. 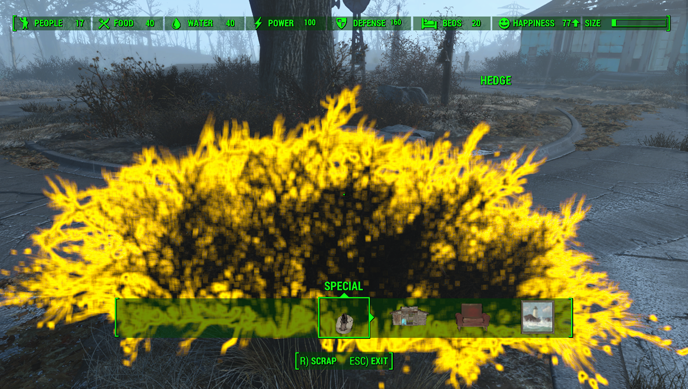 Be aware however that (as with the exploit) the more items you add to your settlement, the more unstable your game becomes. Some of my settlements have reached their “crash point”. Make a save file often. There are a few artificial ways to inflate your settler population count, and generally, most settlements that are well built will exceed the limit of 20 residents all on their own. However, it can be nice to have a few extra hands for harvesting food or maintaining shops, the latter of which can boost the settlement’s happiness. This is a great mod to use with Settlements Expanded, but be aware that the more settlers you have in your settlement, the buggier the area may be. 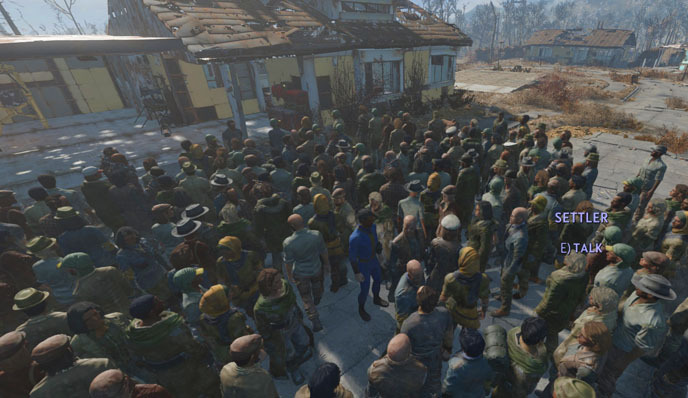 Some settlements, like Hangman’s Alley, will also not have enough physical space to hold more than the vanilla amount of people. Name notwithstanding, I love this mod. 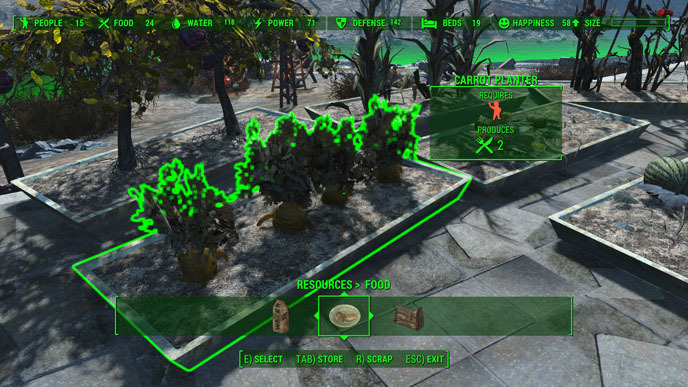 It turns your inventory items into static objects that can be put on display in your settlements. 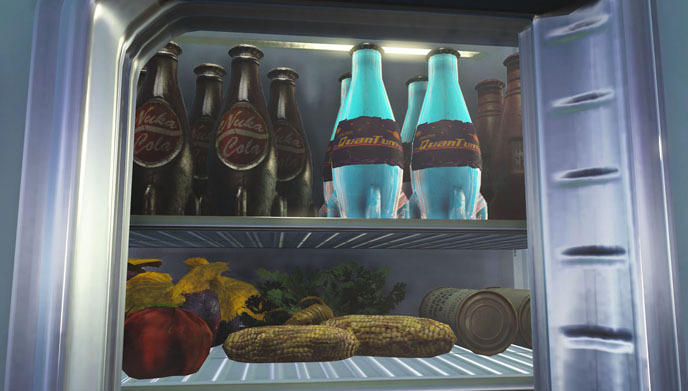 If you’ve ever tried to place a Nuka Cola on your nightstand or a decorative ashtray on a pool table, you know how disappointing it is when the item drifts upward and floats in the air, flies across the room at the slightest touch, or gets stolen by a settler trying to collect scrap. It completely ruins the decorating experience. With the installation of OCDecorator, inventory items can be put in the Workshop and then moved and placed like craftable items, without getting knocked over. It’s truly a fine tool for the meticulous decorators among us. Of all the settlement workshop related mods, this one is probably the best. It includes seven new build sets, several prefab building units, hundreds of new decorative, lighting and household objects in the game that were not included in the workshop, crop planters, new farmable crops, and a batch of new barriers and fences to bulk up defense. 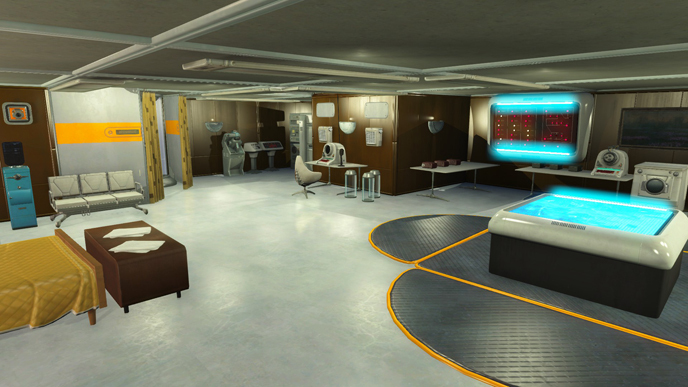 With all of these potential improvements at your fingertips, you can turn Fallout 4 into The Sims 4. Holly Green is the assistant editor of Paste Games and a reporter and semiprofessional photographer. She is also the author of Fry Scores: An Unofficial Guide To Video Game Grub. You can find her work at Gamasutra, Polygon, Unwinnable, and other videogame news publications.